As Moses stood upon the outcropping, overlooking the vast waters of the Red Sea, he had to think quickly. 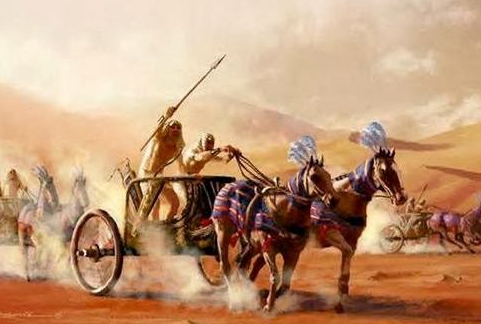 On the horizon, just moments away, was Pharaoh’s massive army. Moses knew they would show no mercy. The catastrophic culling of Egypt’s firstborn brought out the ultimate savagery of the soldiers. Just below Moses stood the defenseless Children of Israel. Only days before, they were slaves. Now they were hemmed in by the seemingly endless waters of the sea and the murderous rage of an angry army. All eyes turned to Moses. Moses gazed up towards the heavens hoping for God to intervene. Then came a thought – a wild thought. What if he lifted up his arms and commanded the waters to part, thus allowing the people to escape? Surely this was desperation, not inspiration. So he pushed aside this idea to clear his head in anticipation of God’s more sure word of revelation. But the thought persisted. Each time Moses tried to sweep it away, it came back. With no time to spare and no clear guidance from on high, Moses lifted his arms and commanded the sea to part. We all know the rest of the story. But why try to attempt to piece together the prelude to the crossing when subject this year is the D&C? Please note the absence of audible voices or visions. Rather, the spirit of revelation is most often expressed through thoughts, impressions, and feelings. God makes it clear this is the method He used to reveal His will to Moses to part the sea. 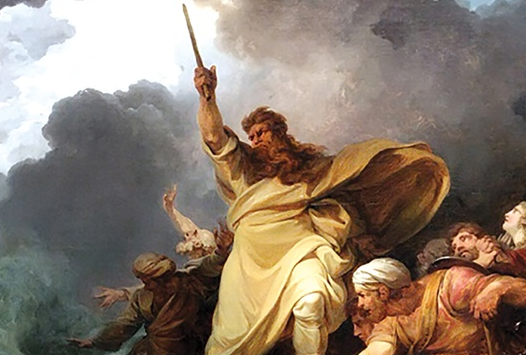 Despite the illogic of his situation, Moses took the leap of faith and followed his wild thoughts. Too often we doubt our feelings and push them aside awaiting the dramatic divine intervention that may not come. It is more likely God will reveal His will to us through the still small voice using the simple tools of thoughts, impressions and feelings.